In the previous episode of Kingdom, Lee Chang revealed his identity to the magistrate and helped clean up the magistrate’s office after the zombie attack. Chang also discovered that the king had died and had been turned into a zombie. What does this next installment have in store? Let’s find out as we recap Kingdom season 1 episode 4! 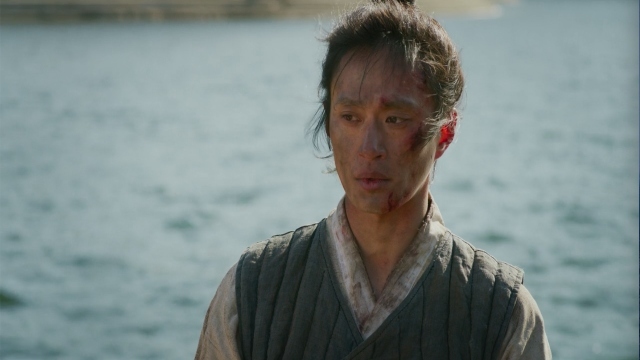 Chang and Mu-yeong went to the docks and found the ship that had fled with the nobles on board. 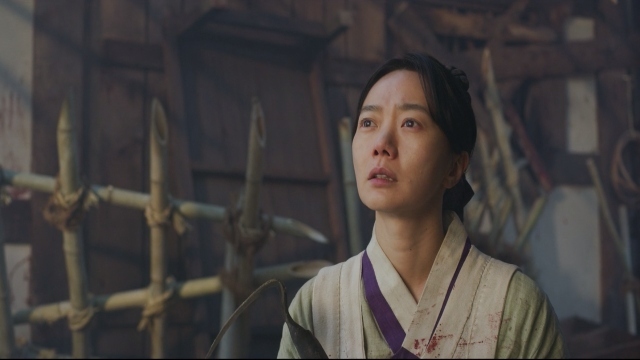 Seo-bi advised Chang to take all of the survivors to Jiyulheon as the zombies would have a hard time getting into the village. Chang agreed and took the villagers to Jiyulheon. Along the forest path to Jiyulheon, the group noticed many more zombies in hiding and so they sprinted to Jiyulheon. Just as the zombies awoke, the villagers passed into the relative safety of the ruined settlement of Jiyulheon. They closed and fortified the gate which held the flesh-hungry creatures at bay for the night. Meanwhile on the boat, one of the nobles had brought her zombified son on board. It got out of its cage and wreaked havoc on the boat. The sun rose and with it, the fear of a zombie attack subsided for the time being. Chang ordered the wounds be treated and food be prepared. Seo-bi helped the injured get cleaned and Chang learned of the poor nutrition of the common folk of the region. Chang decided to give his personal food stash to the people, as they needed it far more than he did. Chang announced his intention to go and visit Lord Ahn Hyeon in the city of Sangju. He was approached by a villager, who offered to guide them to Sangju, as the villager was from Sangju. The Royal Army arrived at Jiyulheon and ordered Chang to surrender and be arrested on charges of treason. The army began shooting arrows into Jiyulheon, killing many and setting fire to most of the buildings. After a lengthy standoff, the army invaded Jiyulheon. Through a series of sneak attacks, Chang and Mu-yeong were able to escape along with the surviving villagers. The villagers set off for Sanjeong. Chang, Mu-yeong, Seo-bi, and their guide set off to Sangju to meet with Lord Ahn Hyeon. Back in Hanyang, the head of the scholars went to meet with the king, but was met by the queen. She ordered them to leave, but the head of the Haewon Cho Clan allowed the scholars to see the king. The head of the Haewon Cho Clan showed the scholars the king’s zombified state and explained that the disease was ravaging the southern area of the country. The head scholar, Kim Sun, was arrested for conspiring with Lee Chang and taken to be beheaded. What did you think of Kingdom season 1 episode 4? Let us know in the comment section down below!